Over 5000 beautiful specimens on sale ! Check them out in our pages on both websites! Internet Links - Meet our friends! We want you to share in our great interest in Minerals, Crystals, Gemstones and Fossils. So to make it easy for you to find other sites which cater to your interest, we have compiled a list of sites that are well worth visiting! If you wish to exchange links with Cooloola Rocks, please email us with your request: or feel free to use our banners! Guide to Queensland Fossicking Legislation All there is to know for fossicking in Queensland! Top Rock Rocks, Minerals, Fossils. Alaska Garnet Mines Miners and Wholesalers of very fine garnet specimens both in the matrix and loose and very rare Barrerite specimens found only at our Alaskan mines. fossil-facts-andfind.com Everything Fossils�Fossil Information for Education, Collecting and Fun. JUST Gemstones Fine Gemstones comprehensive selection of loose Natural and Lab created Gemstones at discount prices. LARSON JEWELERS. Unique wedding bands. A GUIDE TO 40 COMMON MINERALS!! 'BARGAIN SPECIMENS ! Check out our daily bargains. Updated with new specimens daily! "Agates from Poland! "Agates of the Sudeten, Poland and Czech"
WORLD WIDE MINERALS. A selection of world wide minerals from the coolrockstreasures website. Dakota Matrix Minerals A great site for world wide and local minerals from the black hills of Dakota. Bob's Rock Shop Online publication for rock collectors and lapidary hobbyists. rings and pendants. Also stock Cut, Rough, Fossil and Opal Parcels. Caribbean Volcanoes Very interesting website by two top geologists ,John Roobol and his friend Alan Smith'. Dwarves Earth Treasures. A wonderful website. Check out the colourful Agates from all over the world. Boggy's fossil links Boggy's links to all fossil dealers shops & websites. Berryllen, Scandinavian Minerals. Scandinavian minerals. Norwegian minerals. Aeschynite Thortveitite Anatase. sarplataygemas Beautiful minerals from Bosnia, Herzegovina and Kosova . India Rockhounder A website for beautiful Indian minerals. Canadian ammolite. Ammolite Jewelry� affordably set in sterling silver and 14 K gold. Walsh Brothers clocks watches and jewellry Walsh Brothers clocks, watches, and jewellery. English jewellery shop with a wide range and international delivery. 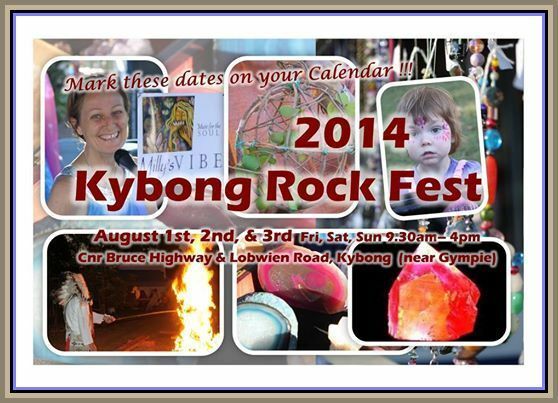 Our Famous Rock & Mineral Kybong Fest. Queensland's most enjoyed Kybong Rockfest 2-3-4th August 2019! See you there! Minieredisardegna.it Interesting website about disused mines of Sardinia. History, and tourist facilities. The Rainbow Crystal Shop Rainbow crystal shoppe for metaphysical Quartz points and clusters. Crystals and Collector's Minerals. Wholesale and Retail. Engagement Rings Source Finding the best buys in engagement rings and diamond jewelry. Coolrocks Super Website. Fine Australian & World Wide Minerals. AUSTRALIAN MINERALS. A selection of Australian minerals from the coolrockstreasures website. OTHER POLISHED ITEMS. Check out the gorgeous polished rocks we have on sale! A lovely selection of spheres and eggs. All highly polished! PREMIUM ITEMS. Some of the very best available at coolrocktreasures websites. Italian minerals for collectors, aesthetic minerals, micromount and rare. Crystals for Health Wealth and Healing! Check out Kevin's lovely website! Own a piece of the stars. Importer & Wholesaler of Quality Crystals, Minerals & New Age Items.